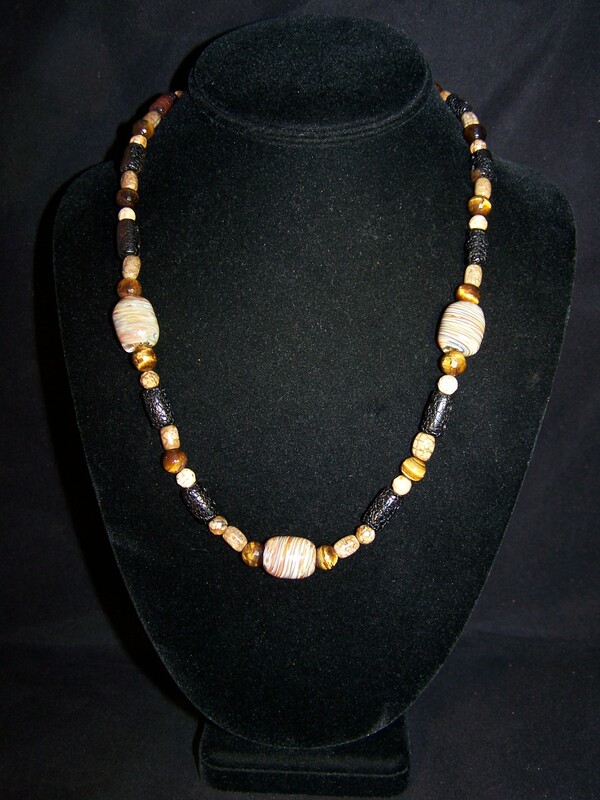 The beaded jewelry is a combination of blown glass beads or pendants with gemstone beads as an accent. All of the gems that I use are of the highest quality and I hand pick all of them myself. The gemstones have different metaphysical properties and effect different areas of the body, called Chakras. Chakras are the seven points of energy starting at your tailbone and reaches all the way up to the top of your head. I also create birthday gemstone pieces, incorporating the birthstones as well as the other stones that relate to each month. Contact me HERE for a custom jewelry piece for yourself or as a gift!